Several days ago, I wrote about Europe and Great Britain in particular vis-a-vis Islam and terrorism and some of its implications. 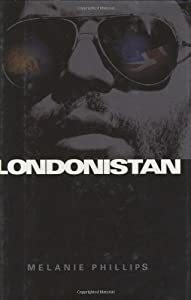 At the time I was attempting to read Londonistan by Melanie Phillips. I have finally managed to complete that self-assigned task. I might add that the fault is not that of the author but rather my unfamiliarity with her style and the complexity of the subject matter. Moving forward, my intent is not to review the book but rather make reference to some things that intrigued me and speculate about what these things might or might not mean. As always dissent/disagreement is welcome. My comments do not follow the book from beginning to end since some areas were more pertinent for me than others. The author has an excellent notes section if one desires to trace her source material and pursue things further. So what were the policies to which he referred? If you say support for Israel go the head of the class. That attitude in Britain, she writes, is even more prevalent. In Britain the prevailing wisdom regarding the Middle East is that of a territorial dispute. Before May 14, 1948 all was well between Arab and Jew and would be again if Israel acceded to legitimate Palestinian demands. The problem, that is not factual. This cannot be totally addressed here but factor in this one truth . Palestinians could have had a separate state in 1936, 1948 or 2000. Also, many Arab writers and leaders have often spoken of the inherently evil Jew out to conquer the world and they are demonized as the source of all evil in the Middle East. Let me hasten to add that Israel is not always right in its actions/methods but neither are they behind every conflict on earth as Palestinian Authority imam Ibrahim Mudayris said in 2005. She wonders if her native country will reverse its sleepwalk towards “cultural oblivion ” or sink further into disarray and drag the West down with it. Serious things to consider. Back during those nearly forgotten pre- Obama days of the 2008 presidential campaign, I did a post entitled Vote Early and Often. At the time I included a qualifier that I was just kidding. Perhaps I was just ahead of schedule and I did not live in Port Chester, NY. Port Chester is a small village about 30 minutes from New York City. Over the years no Latino had ever been elected as a trustee ( assume that would equivalent to a city council member) even though the village is about half Hispanic. Pay close attention to this next line. Most voters were white and white candidates always won. Enter the feds, as represented by the U S Dept of Justice ( think Eric Holder) and federal judge Stephen Robinson. Judge Robinson said that the Voting Rights Act was being violated and something had to change. He rejected a proposal to break the village into 6 voting districts, one being heavily Hispanic. This next just amazes me. Vill;age officials suggested a method known as cumulative voting. This system gave each resident 6 votes to apportion as they chose. Even more amazing this system is already used for the Peoria, Il city council, the Amarillo, Tx school board and the Chilton County , Al county commission. This whole approach just astounds me. It seems very easy to manipulate plus the fact that it seems designed to achieve certain pre-ordained results. Can’t believe it isn’t being used in Cook County. Their system is probably more sophisticated. An outfit called FairVote was hired as a consultant. The organization is a nonprofit election research and reform group. I looked up this organization and lo, and behold one of their advisory members is non other than Jesse Jackson,Jr. and one of their staunchest supporters is Harvard law professor and civil rights activist Lani Guinier. But, the organization takes great pains to state that it does not support, endorse or oppose any political party or candidate. Not sure if I buy that or not. Anyway, back to Port Chester. When their wacky election took place, there were three Hispanic candidates in the race. One of those folks managed to come in fourth, so I suppose the effort was a success. What further in=terested me was that with all the efforts to get people to vote and vote the turnout, based on the numbers did not seem so good. Of course, how do measure voter turnout , multiply eligible voters by six? Almost getting into Land of Oz stuff here. I learned one more tidbit. FairVote has a chapter in North Carolina , so I may get an opportunity to vote multiple times myself. I would wager that you are not having nearly as busy ( or soon to be busy) summer season as our friends the Clinton family. How about officiating at a wedding ( Bill) , planning and organizing etc. the wedding of the year ( Bill, Hilary and Chelsea) buying a new mansion and of course Hilary’s day job of traveling hither and yon on various foreign affairs missions. Almost forgot, somehow in advance of all this Bill squeezed in a trip to South Africa for some of the World Cup. Whew! Gotta be a tough life, being a Clinton and maintaining schedules like that. Hard to know where to start. How about with the most confusing item listed above? For me, that would be the former President officiating at a wedding. The nuptials will be between New York Congressman Anthony Weiner, yes that is his name and an aide to Hilary, Huma Abedin. That “lavish ceremony” took place yesterday. As WCBS TV put it I guess Clinton was the officiator-in-chief. What qualified him to perform the ceremony I have no clue. The next actually scheduled big event is daughter Chelsea’s wedding on July 31 to investment banker Marc Mezvinsky in Rhinebeck, NY, some 100 miles from New York City.The Clintons must have gotten the Obama ok for this union because both the president and his wife have not spoken well of the profession of the future Clinton son-in-law. Bet the guest list for this soiree will be interesting. And in an effort to help the depressed real estate market, the Clintons are closing in on the purchase of what can only be called a mansion with some 7,000 square feet and a purchase price of a cool $11 million. So it’s good bye modest Chappaqua in northern Westchester County and hello Bedford Hills. Less than 10 miles away, it is still a move up no matter how it is viewed. Besides, with neighbors like Richard Gere, Martha Stewart and Glenn Close, they will be a perfect fit. Sure hope that Mr Mezvinsky is aware of the truism that when you marry someone you marry their family as well. The Independence Day weekend seems like an ideal time for my second installment on John Adams. We celebrate profusely on this weekend, some even to excess, believe it or not. And for the document itself, we owe gratitude to a number of people who labored diligently to produce the document that we call the Declaration of Independence. Jefferson was of course the author but the work involved many others of whom Adams may have been the most important. He was seemingly everywhere at once and at one point served on 26 separate committees. There were 54 other men who put their names to the document and chose to ” mutually pledge to each other our lives, our Fortunes, and our sacred Honor.” All knew they would have to pay a high price and that they did. Perhaps the famous part of the document was Jefferson’s lines eloquent lines from paragraph two that affected the human spirit as neither he nor anyone else could have forseen. They speak to us still, some 234 years later. What did Adams have to say about the final result ? This he wrote to Abigail. The second day of July 1776 will be the most memorable epoch in the history of America. I am apt to believe that it will be celebrated by succeeding generations as the great anniversary festival. It ought to be commemorated as the Day of Deliverance by solemn acts of devotion to God Almighty. It ought to be solemnized with pomp and parade, with shows, games sports, guns, bells, bonfires, and illuminations from one end of this continent to the other from this time forward forever more. So he have his days confused? Not at all . The original vote did occur on Tuesday, July 2 with 12 states in favor and New York abstaining in order to make the vote unanimous. They voted again 2 days later with the day of celebration occurring on July 8. The actual signing did not take place until August 2. There would however be yet another fateful day in July for Adams and Jefferson. By 1826, July 4 was ensconced as the nation’s day of birth. It also marked a momentous day for the two stalwarts of independence. Both men were gravely ill, Jefferson at Monticello and Adams at Quincy, Ma. Jefferson briefly stirred after a 2 day coma but died at around 1:00 pm. Meanwhile Adams. quiet as well, stirred for a moment and sometime in the afternoon, said “Thomas Jefferson lives.” It was just a little while later at 6:20 pm that he too passed away. Now, if you will, juxtapose that with this report from Reuters. The April, 2010 budget deficit was a whopping 82 billion dollars about 4x the figure for April, 2009. This marked the 19th consecutive month with a budget deficit, a new record. But, the President went on to mention the prior month’s job growth and added that April was better than March and May would be better than April and next year would be better than this year. I sure hope so because I don’t want to live in the United States of Greece. Quite a character was the man from New York. He served as Governor of New York, leader of the Rough Riders in the Spanish-American War, was both an ardent conservationist as well as an avid big game hunter, ( in this country and abroad) an advocate of the “strenuous life” who preached exercise, activity and more. But he was also a sickly asthmatic child and one who suffered great physical harm from his frequent reckless behaviors. Incidentally these behaviors lasted virtually his entire life and undoubtedly contributed to his early demise at age 61. But, if anyone’s years were ever packed full, it had to be TR. OR, as he put it, ” good to the last drop.” And you thought Maxwell House made that up. By the way, he was also our 26th president and ran the most successful 3rd part candidacy in our history. But why is he among all the choices enshrined on Mt Rushmore? Author Kathleen Dalton calls him our most fascinating president and after reading her bio of him, I would have to agree. He was imperfect, contradictory, often full of himself , judgmental, at times intolerant and never happier than when the full focus was on him. Dalton posits that he best captures the American spirit self-improvement ( one of his mantras), growth and change. He himself continued to move to the left politically after leaving the White House’ vigorously championing causes such as women’s suffrage, improved working conditions for factory workers( many of whom were children) , and “social justice” in various and sundry forms. He ironically was still all out for our entrance into WWI, even volunteering to go himself. Although that did not happen, his sons fought admirably and one son, Quentin, was killed in Europe. Some speculated that Roosevelt never recovered from that loss. And even prior to that, while he was President he pushed hard for a stronger Navy. As I write this post and it seems to jump all over the place , I readily see Dalton’s point about TR being such as fascinating Chief Executive. For I have yet to refer to his Nobel Peace Prize of 1905, his mentoring of a young Woodrow Wilson ( with whom he fell out and the two basically accused each other of treason) his nephew Franklin, whom he greatly encouraged and so it goes. And we had the precocious daughter Alice Roosevelt Longworth, from his first wife, Alice, who died when the child ws quite young. His daughter was a firebrand from an early age, maybe one for whom the term precocious is much too mild. And did I mention that he wrote hundreds of magazine articles and numerous books, one of which , African Game Trails, sold a million copies and this in the early 20th century. Although born into wealth and privilege, he never seemed d motivated by money. Perhaps, one of the main driving factors was living up to the standards of Theodore Sr, or Thee as he was known. Better yet, I love the line from his children Kermit and Alice. He always liked to be “the bride at every wedding and the corpse at every funeral.” Well said, indeed. It is appearing increasingly likely that a health care bill will be passed by the Democrat controlled Congress. The wrangling over abortion restrictions that is only the latest issue will alas probably be overcome. ( Kudos on the efforts of Bart Stupak.) I say this with no enthusiasm since I fear that we will rue the day this bill was passed and rue even more when its provisions take effect. As Speaker Pelosi said, it must be passed so everyone will know what is in it. That one statement should cause every American of whatever political persuasion to wonder just what is happening. Plus, two new terms have entered the political lexicon that I venture to say will also return to haunt us. One is the “deem it passed” concept and the other the “Slaughter Rule.” The deem it passed idea is one of the more convoluted things that one can imagine. The more I read about it, the more confusing it gets. In this process, that seems to be the norm. Can you imagine James Madison, who developed the copncept of “checks and balances” being faced with such a concept. And, don’t look just yet, but tis approach may be already under consideration for dealing with the thorny problem of immigration reform. If I were a Democrat, I would tread very lightly here since their majority status is not a perpetual things(as it is in the North Carolina legislature) and the old goes around comes around – process is always lurking behind the next election. Then there is the Slaughter Solution. Named for powerful Congresswoman Louise Slaughter, Chair of the House Rules Committee, and one of Congress’ most powerful women. In fact, the deem it passed approach came from her. The irony of this concept is the fact that the Republicans( shame on you) used a similar approach in 2006 when they ruled the roost, albeit on a bill of far, far less import than one that will takeover 1/6 of the U S economy. Anyway, there was a suit filed against the Republican action. It was led by Waxman, Slaughter and Pelosi. How ’bout that? The name Slaughter Solution itself carries all sorts of inferences and connotations which are far more intriguing than had it been the Smith or Jones Solution. So, as we stand on the brink or precipice, one has to wonder what the verdict of history will be. One final thought. I daresay that few bills have had more claimed for them than this one. One has to know that like exaggerated claims for anything, it will never accomplish all that its supporters claim for it. Let us hope that the fears of damage are also overstated. Who should make your eating decisions for you? The food police are feeling their oats , so to speak, and it is not a pretty sight. We have nefarious things afoot in the Empire State and that is not even the worst of it. First, there is A.10129 that has been introduced in the New York legislature by Brooklyn Assemblyman Felix Ortiz. The bill would ban the use of salt in any restaurant in the state and provide for a fine of $1000 per violation. Item#2, also from New York. For the second straight year Gov Paterson has included a proposed soda tax in his budget. Now, read very carefully his reason.” Someone has got to contribute to the $7.6 billion the state spends every year to treat obesity.” His proposal dovetails nicely with New York City Mayor Michael Bloomberg’s call for a 1 cent tax per ounce on soft drinks. Paterson also hinted that other products such as burgers and candy bars could be tax targets. And, just down I-95 in Philadelphia, the city budget for fiscal year 2011 includes a 2 cents per ounce tax on sugar sweetened beverages. Approval is pending. Finally, researchers writing in the Archives of Internal Medicine are suggesting taxation as a weapon in the obesity fight. They estimate that an 18% tax on pizza and soft drinks could cause a decrease of as much as 5 pounds annually in the weight of the average American adult. Presumably this would happen by reduced consumption due to the tax.The team, which was led by Kiyah Duffy of UNC has strong allies in the American Heart Association and the Centers for Disease Control director, Dr Thomas Frieden. What does all this activity bring to mind? Why, the campaign against smoking, of course. Don’t be at all alarmed if somewhere, either New York, Philadelphia, San Francisco gets this tax passed. If one city does it, others will be sure to follow. Then,the door is open to tax on multiple items;candy, cookies, any fast food, even sugar itself. And, it is all in the name of health. So, that wouls make it good and right, right?